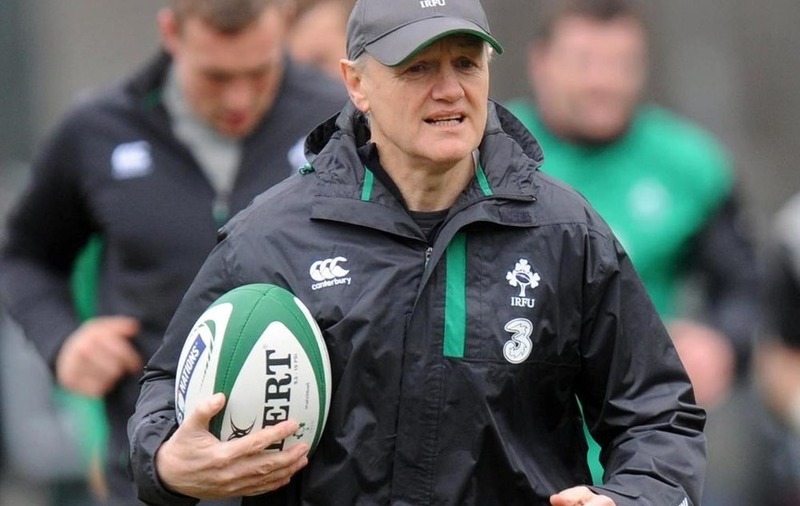 JOE SCHMIDT has denied Ireland's bosses had any involvement in the sacking of Leinster coach Matt O'Connor. O'Connor left Leinster last week after a disappointing campaign where the province failed to finish inside the PRO12 top four for the first time in 11 years. The outspoken Australian coach's departure sparked suggestions Ireland head coach Joe Schmidt had a hand in his exit, owing to rows earlier in the season about player availability. Former Leinster boss Schmidt called a hasty press conference last month to tell his side of the story after O'Connor had complained Ireland were being heavy-handed in forcing his Test stars to sit out pivotal matches for the province. That butting of heads sparked rumours the Irish Rugby Football Union (IRFU) had underscored O'Connor's exit - but Schmidt has insisted he played no part. "I was as surprised as anyone," said Schmidt of discovering O'Connor had been sacked last week. "It's not the IRFU's decision: it's purely a Leinster game board decision. That's the autonomy they have, and that's the decision they made. So it's totally independent of the IRFU." Ireland take on the Barbarians at Thomond Park on Thursday night, with Chris Henry making his first international appearance since suffering a mini-stroke in November. Henry underwent a heart procedure after falling ill on the morning of Ireland's autumn Test with South Africa on November 8, returning to Ulster action in March. Schmidt hailed Henry's resolve to battle back to full fitness, claiming the 30-year-old can "absolutely" fight his way into Ireland's World Cup squad. "He was very much in our thoughts right through the Six Nations last season, he played right through that," said Schmidt. "He was very much starting against South Africa until the morning of the game when he had to be withdrawn. Since then, I've stayed in touch with him a bit, tracking his progress, and his progress has been heartening, and it's great to have him back. "I think he's been bubbling with enthusiasm and he's demonstrated that at the two trainings, and he'll demonstrate that at the game again tomorrow night. He's just a good quality person to have around as well, so I'm really looking forward to seeing him go again. "He's in try-scoring mode at the moment, he got one last week, he fancies himself with a bit of pace out on the edge, so we could see him all over the place, at least for 40 or 50 minutes before the game starts to slow him down a little bit." While Schmidt will be keen for Leinster's uncapped debutant centre Colm O'Shea to impress in Thursday night's non-cap international against the BaaBaas, he must also keep turning his mind to Ireland's politics. Ireland bosses are keen to tie in-demand coach Schmidt down to a new contract, with his current deal expiring after the 2016 Six Nations. Schmidt said he may have "a better window" next month to sit down with the IRFU for discussions on a new contract. 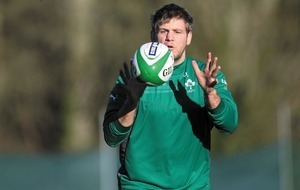 "I don't feel there's too much panic and I don't feel the IRFU do either," said Schmidt. "It's a really busy time - we're in camp and trying to finish off the season. I'm not going anywhere in June, and that might give us a better window. "I think it's something that we will get to, but I can't really comment on it." After the fall-outs with O'Connor, Schmidt also admitted he is keen to continue fostering strong relationships with the provinces as Ireland move ever closer to the autumn's World Cup. "I'll be an interested observer," said Schmidt of what part he would play in Leinster's process to recruit O'Connor's replacement. "Because, in the end, I'll be working with that person and that person will have obviously a number of Irish international players. "I think that's something that, again that's their process, and we'll find out when that process has gone through its full cycle and we've got someone at the end of it. "Those relationships are really important. Everybody who is having to share resources at stages is going to be probably contesting where and when those resources are best utilised. "And that's part of the continual feedback that exists with the IRFU and the player management that I think is something that the provinces recognise as well. "It's certainly something that we were predicting we would continuing going forward and trying to be as positive as possible in that vein."